Christmas Party Transportation – It may seem a bit early to be thinking about booking transportation for your Kelowna, West Kelowna, Lake Country, Vernon or Penticton staff Christmas Party but it’s not. Cheers! Okanagan Tours is already filling in the December Calendar for Christmas Party Shuttle service. Be sure that your coworkers and employees get home safe this year. Charter our 16, 20, 21 or 24 Passenger Tour Coaches, 14 Passenger Vans or 6 Passenger Luxury Minivans for your Staff Christmas Party. 4-hour continuous evening on-demand (or timed) shuttle service is $520 (tax & gratuity included) per coach. Additional hours are available for $130/hour (tax & gratuity included). Rates are based on Kelowna departures. Re-positioning fees apply for services outside the immediate Kelowna and West Kelowna area. Other Shuttle services are available from $130/hour (tax & gratuity included). Call for details and to Book, before we fill up for the season. 250-717-8452. If you’re in the early planning stages we would love to help you with the details of your party too! Here’s some fun stats about how employees and business view a Christmas Party. We pulled this from onrec.com. 1,000 workers participated in the survey, carried out by the global leader in employee engagement technology, to find out what companies do for their employees for Christmas and what employees actually think about these reward and recognition practices. It’s not all bah-humbug for the Christmas party. 18% of respondents said it was the office highlight of the year, and it was especially popular with the 16 – 34 year olds. When asked if their employer does anything nice for the entire company over the festive period, of the 39% who have an office Christmas party, 25% said they will enjoy an all-expenses paid for event, and 14% said it will be subsidised. 15% will be getting a Christmas bonus and nearly 10% will receive a gift. A surprising 36% said that their employer didn’t do anything “nice” for the entire company over the period (parties, bonuses, presents, gifted holiday or shorter working hours in the run up to Christmas and New Year). 28% thought their employer could do more for the company at Christmas. A third of respondents feel that being treated at Christmas could boost staff morale at their company. 17% said they will definitely not be going to the office Christmas party, (evenly matched between male and females). 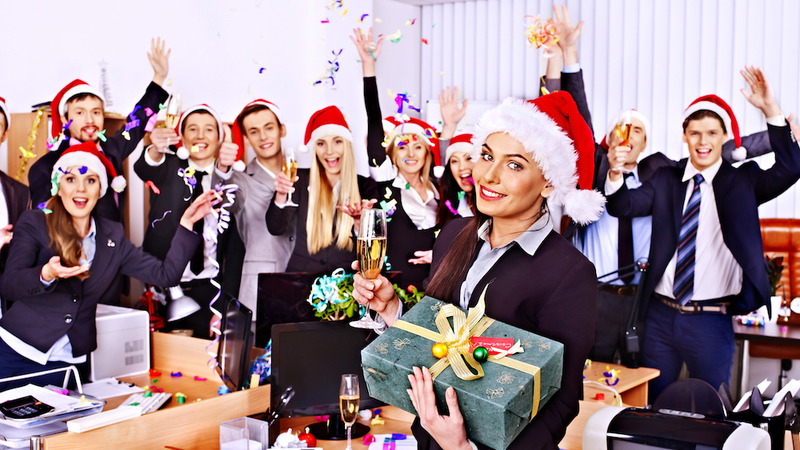 21% of women surveyed said the Christmas party is the office highlight of the year, (compared to 16% of men). Images borrowed admiringly from PA Life and W.E. Skelton 4-H Center. Rock The Lake Shuttle 2018!! You’re very welcome. Thanks for taking the time to read it.